Through the use of clinical interviews and/or psychological testing, diagnostic assessment can clarify diagnoses and inform treatment recommendations to maximize treatment success. 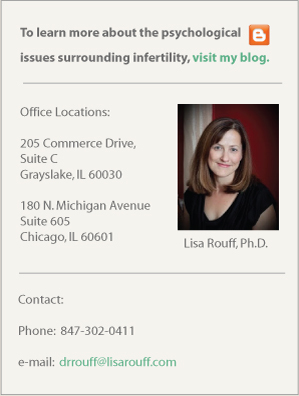 The fastest way to reach Dr. Rouff is to phone her at 847-302-0411. If she is not available, leave a message with some good times to connect over the phone. You may also e-mail Dr. Rouff. However, please be advised that because e-mail is not a secure form of communication, the confidentiality of any information sent cannot be guaranteed.